Don’t just go to the most touristy places when you travel. And don’t just go out drinking. For example, in Orlando you’ll want to see natural beauty and get adventure. Get some comfort but don’t go just for the cheesy attractions. Avoid places that are fun for kids but will bore you silly. And when you visit giant attractions like Disney World, you’ll need tips to do it right. I was recently invited by several Orlando destinations to visit and write it all up for you. The research was intense and included help from the Orlando Official Visitor Center. If you think like me, loving intellectual, classy, sometimes educational, sometimes active events that aren’t too athletic, then here’s your ultimate guide to Central Florida. Here are 11 separate reviews for where to go, including the secrets to getting the most from it. We had so much fun and didn’t have any kids along. Orlando is for adults, too. 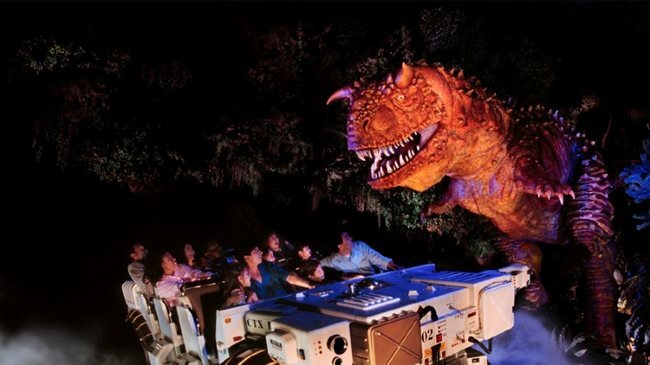 In the “Dinosaur” ride at Disney’s Animal Kingdom, you chase and are chased by dinosaurs in a time travel adventure. In Orlando itself, you’ll want to visit Universal Studios, but we didn’t have time to review that. 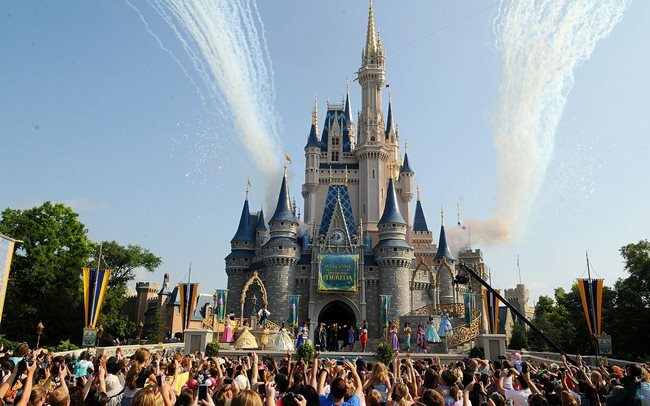 Instead visit the best two Disney attractions, Disney’s Animal Kingdom and Disney’s Magic Kingdom (5 stars). Animal Kingdom is larger than life with its shows and rides, and we took a surprising “safari” that was educational and smart, not dumbed down for children. The Magic Kingdom has all the classic rides you need to see, and we decided to skip Disney’s Epcot Center, which is for people who don’t travel but want to get a glimpse of it, and Disney Hollywood Studios, a response to Universal Studios. We also recommend eating at Raglan Road, where they have Irish stepdancing. It’s part of Disney Springs, which we liked better than Universal CityWalk, both little “villages” for walking around and shopping, with restaurants and entertainment venues. 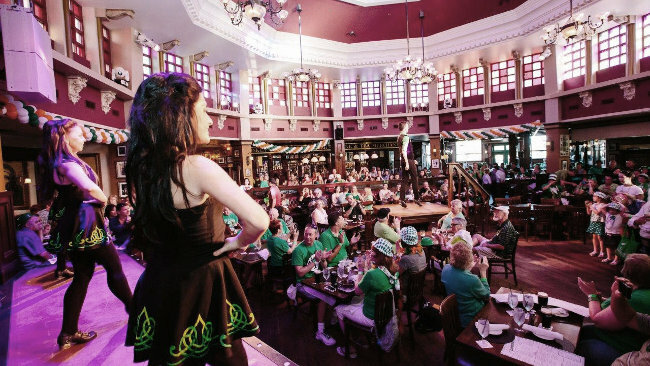 Two stages at Raglan Road puts you right up close to the action from any seat. In downtown Orlando, you can hit several smaller attractions all on one day. Go “skydiving” without leaving the ground at an indoor wind tunnel experience called iFLY Orlando (5 stars), which is coming soon to New England. 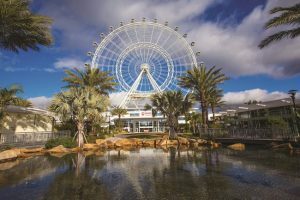 Visit the a giant Ferris Wheel, the Coca-Cola Orlando Eye, and Madame Tussaud’s Wax Museum (4.5 stars), where you see and take photos with weirdly realistic wax sculptures of celebrities. 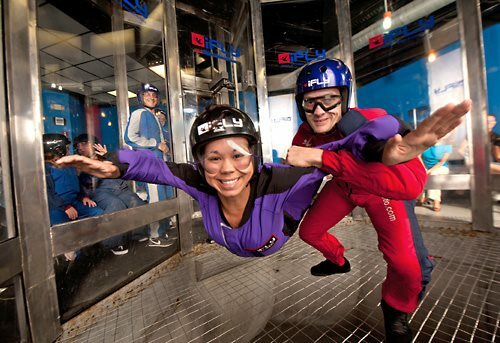 iFLY Orlando is a Vertical Wind Tunnel “Sky dive” experience. 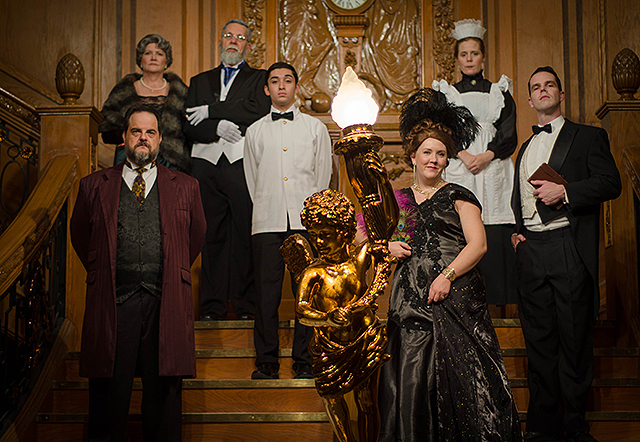 Nearby, and also in central Orlando, play laser tag with actors dressed as zombies at Zombie Outbreak (3.5 stars), and go down with the ship at the Titanic Museum and Titanic Dinner Gala (4 stars), which features real artifacts recovered from the wreckage of the tragedy. We found each of these too cheesy for a 5-star rating, but hey, if you like horror movies or Titanic, go for it. The most fun we had was actually outside of Orlando proper. 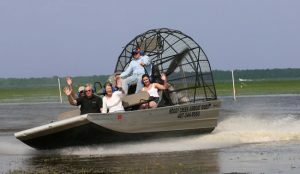 Just to the south, in Kissimmee, Florida, cherish the wind like a dog sticking its head out a car window at Boggy Creek Airboat Rides (5 stars), where you ride in one of those swamp boats you see on TV with a giant fan in the back. You glide through a lake to view birds and real alligators way up close. 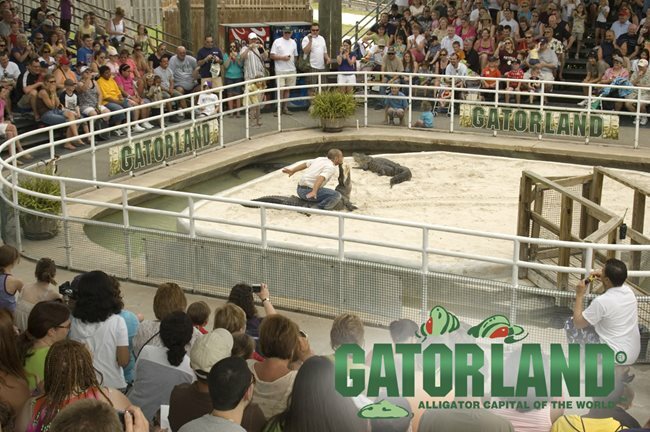 And our #1 pick for Central Florida is actually Gatorland (5 stars), a half-day attraction, which brings joyous celebration of wildlife to a kooky new level, and you will meet and interact with so many alligators that you will howl with delight. It’s hard to describe. They really know how to receive your inner child’s thrill, “Hey! I’m meeting an alligator!” and then they reflect it back to you and boost it to the next level. Wrestling an alligator at Gatorland. Then they tape its mouth shut and you get to enter the sand pit and “ride” it! Yes, you get to touch, kiss, and get pulled along in the water by a real dolphin, and more, at Discovery Cove. 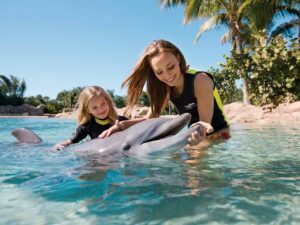 If you can afford the expense, there actually is one better location, Discovery Cove (5 stars), where you can swim with dolphins, dive under the water to explore, and even swim with sharks. You could spend $1,000 for a couple for a single day, but there’s no better way to make a memory for a lifetime, combining natural beauty with a theme park’s super convenience and hospitality. It’s affiliated with SeaWorld (4 stars), which had some good roller coasters and a few remarkable animal encounters, but overall we found (as adults with no children) was not educational enough to keep our attention, and didn’t seem to have a central mission to define their various shows. Last but not least, if you are a science enthusiast, take an hour’s drive west of Orlando to check out the Kennedy Space Center (5 stars). 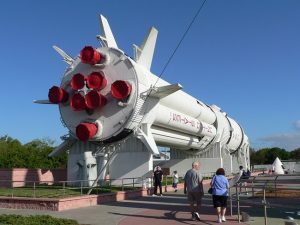 There you can meet a real astronaut, take a bus ride into the original Apollo 8 Moon Landing Command Center, and see tremendously huge space rockets up close, from an old Space Shuttle to the newest Elon Musk Falcon Heavy. 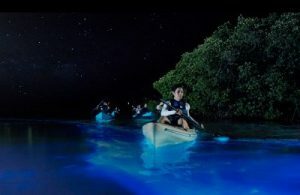 While you’re in the area, get into a kayak and explore nature, seeing dolphins, manatees, and bioluminescent jellyfish with BK Adventure Eco Tours (4.5 stars). You’ll want to pick the right weather and right time of the year (call them). It’s wonderfully romantic to watch the sun set and the stars come out, and then glide through glowing light in the water. 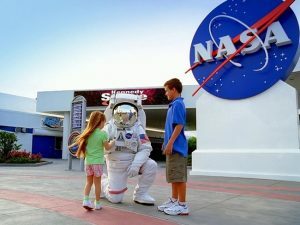 The official Orlando Visitors Center is at http://www.visitorlando.com/plan-your-trip/visitor-center/.